LG 55' 55UH7650 SUPER UHD 4K HDR WIFI SMART LED TV *Almost new ! !Fully functional. COMES WITH LEGS, SCREWS, POWER CORD AND REMOTE. 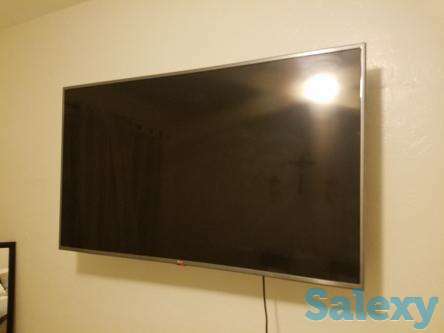 Also the TV Monitor Wall Mount Bracket Hanger Articulating Arm Rack Extends Up To 15 Inch is included I'm selling this TV because I have to many TVs at home. This one is almost new and I have it brand new like 2 month ago.